At least 75 vehicles were involved in a crash in Lancaster, New York, on Interstate 90 East on Tuesday, Jan. 2, according to reports. One person was confirmed dead, local outlet WIVB reported. The pileup took place at around 2:30 p.m. ET on Tuesday, involving dozens of vehicles near Ransom Road in Lancaster. The Erie County Executive’s Office said that 22 vehicles crashed, but reports said 75 were involved in a pileup. Some reports said that the pileup was about a mile in length. Erie County Executive Mark Poloncarz said there were seven volunteer fire departments at the scene. The Erie County Department of Homeland Security and Emergency Services and Erie County Department of Health SMART teams are also on the scene. Many of the injuries are reported as minor. Whiteout conditions in the area are expected. Multiple “extractions were needed,” WIVB reported. As of 4:15 p.m., all lanes were blocked around I-90 eastbound at Exit 50, state police said. 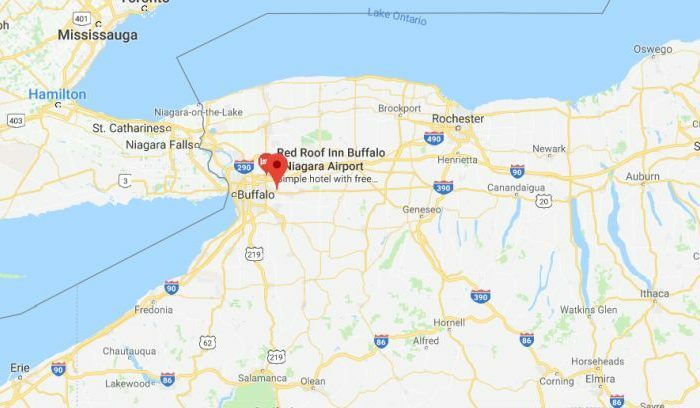 A travel advisory was issued for northern Erie County, which includes all of Buffalo, Cheektowaga, Lancaster, Alden, and near Erie/Niagara County line, Localsyr.com reported. The National Weather Service Buffalo Blizzard issued a warning. ALERT – MULTI-VEHICLE ACCIDENT: All lanes are currently blocked on I-90 eastbound at exit 50 (Niagara Falls – I-290). All eastbound traffic must get off at exit 50. I-90 west is closed at exit 48A (Pembroke). All traffic must exit at 48A. BLIZZARD WARNING For Metro Buffalo through 1 AM WED.